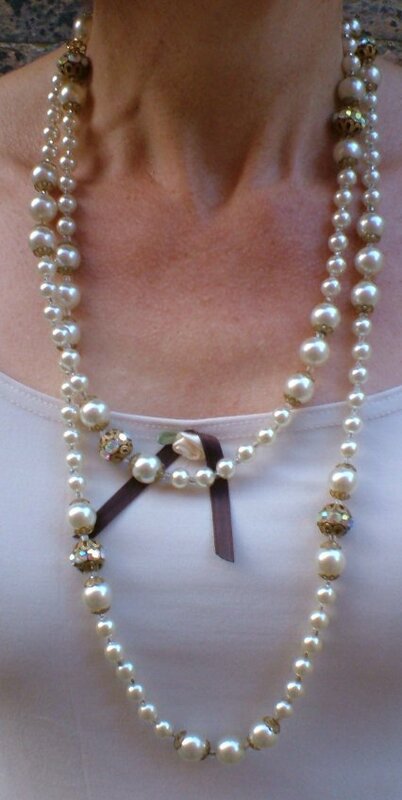 Vintage 1940s long rhinestone and roman pearl necklace. This is a gloriously shiny necklace! 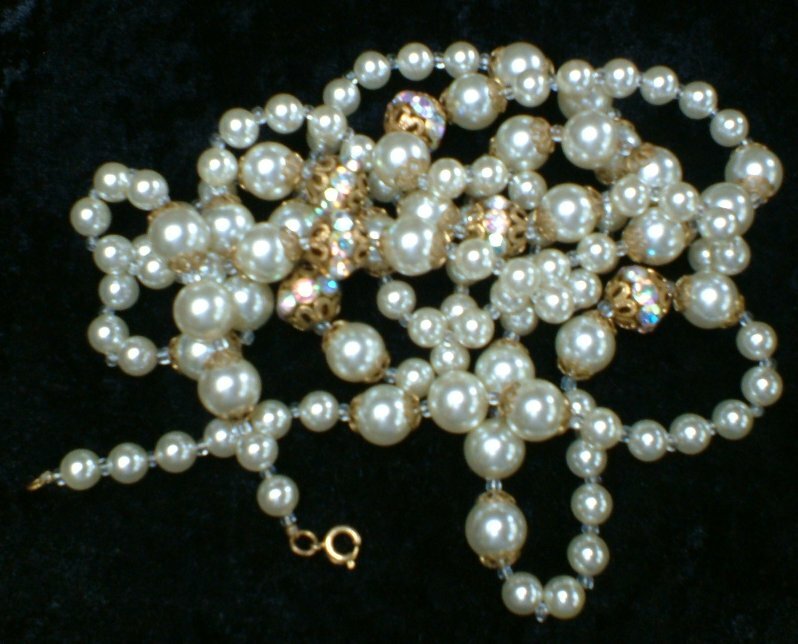 Faux pearl beads are strung in sequence of 1 large, 6 small, 3 large, 6 small, 1 large, then each sequence is topped and tailed by a gold and multi-rhinestone bead. 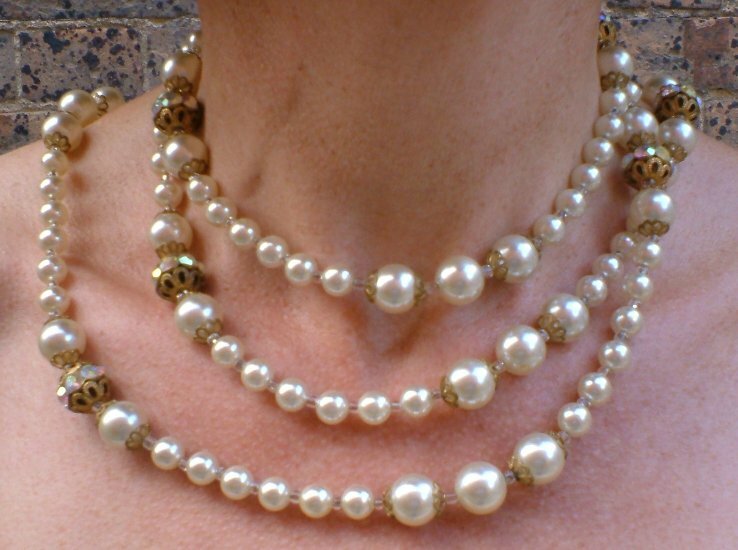 It's in perfect condition, and soooo long - wear it once, twice, three times round your neck! Approximate length is 56 ½ ins/153 cms.